Safe to say I have searched far and wide for the healthiest, yummiest and seriously nutritional festive recipe. 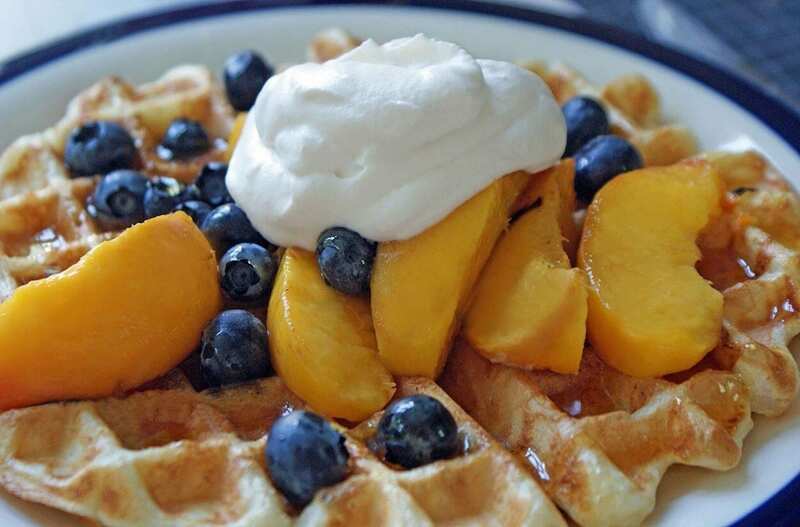 When I was first given a waffle maker, I thought to myself “Oh no, this really is the end.” We started having waffles every weekend and though we were adding fruit as a topping to try and keep it healthy, the recipes were all very fattening. Finally, I came across a recipe that kept it both delicious and nutritional at the same time. Score! If you have a waffle maker, you just have to try it out. It is the definition of truly scrumptious. Truly, truly scrumptious. 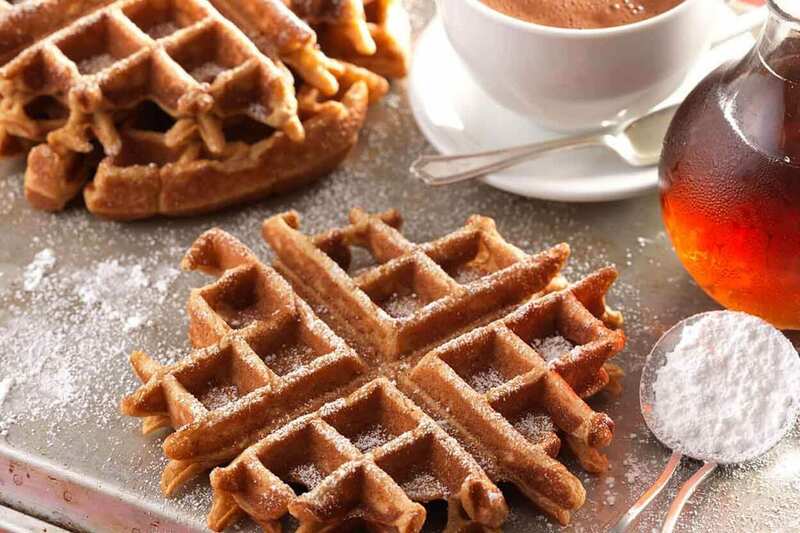 Now, those who may not have a waffle maker might be asking themselves: “Do I really need a waffle maker? “Is it just another gadget I am going to use once and then it will go in the back of the cupboard?” Nope! Not with these healthier oat waffles. 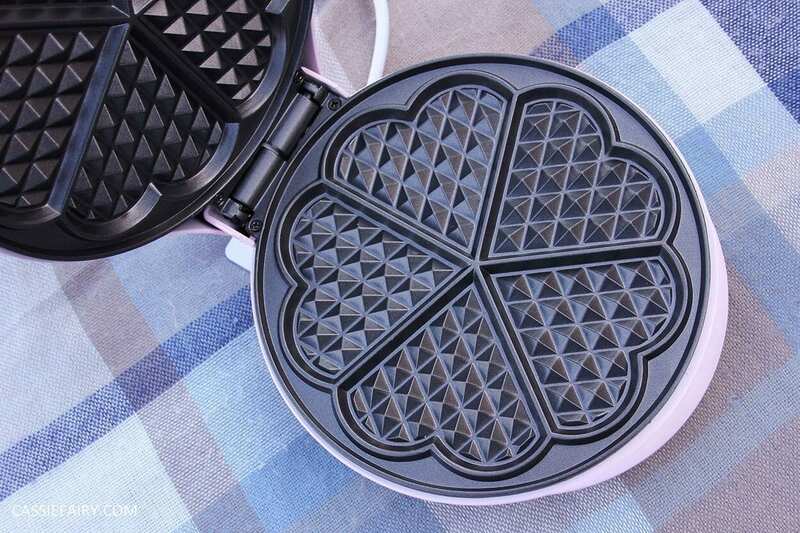 We loved this heart shaped waffle maker as it kind of matches the healthy ingredients! 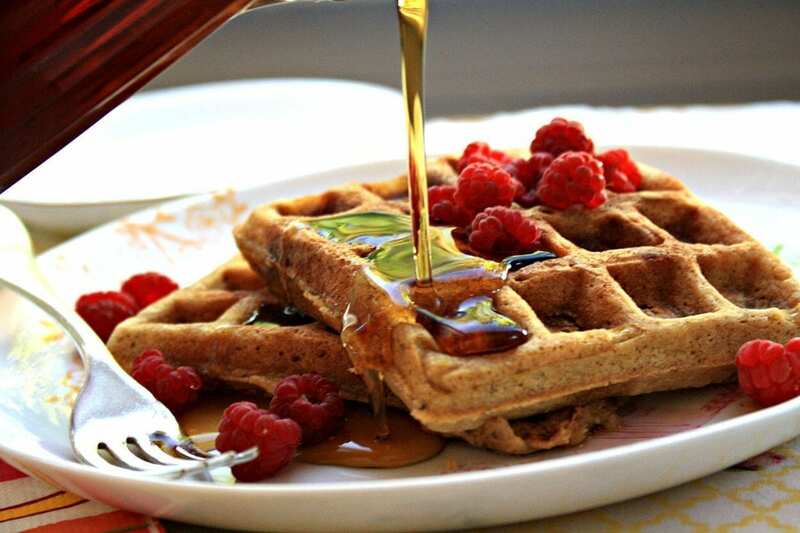 Waffles don’t need to be an indulgence breakfast any longer, but a great staple in your diet which everyone loves. Furthermore, gingerbread is such a classic Christmas flavour, and these make a really nice and simple Christmas morning breakfast. The Greek yoghurt on top adds the creaminess that you would get with whipped cream, but less calories and the pomegranate adds a nice crunch (and lots of vitamins.) Of course, you can use any combination of fruit that you prefer. Oats boast an impressive nutritional profile. Modest oats hide their impressive virtues inside of those unassuming little hulls. One cup of oats provides 6 g of protein and 4 g of fibre. Fibre is a multitalented nutrient, protecting us from any number of potential health problems. Eat one cup of oats and you’ll rack up nearly 70% of your daily needs for manganese, a mineral that helps enzymes in bone formation. You’ll also get good helpings of vitamin B1 and magnesium. Oats reduce cholesterol. The soluble fibre they contain called beta glucan, has been shown to lower cholesterol and drastically decrease your risk of heart disease. Many people in the UK and world-wide are not eating enough fibre; the UK government has recently upped the fibre recommendation to 30g a day from the previous 24g following recommendations by SACN. 1) Put the oats in to a blender with the spices and blend until a flour consistency. Put in a bowl with the baking powder and salt. 2) Mash the banana and add the whisked egg, milk, yoghurt and vanilla and add to the oats and stir well. 3) Heat and grease your waffle maker and when it is fully heated, add the waffle batter. Depending on the size of your waffle maker, this should be enough to make 4 square waffles. 4) Cook for 4 minutes, or until they are cooked (this will be different depending on your waffle maker). 5) Top with Greek yoghurt and pomegranate (optional) or any other fruit that takes your fancy! At The School of Natural Health Sciences, we are all about happiness, healthiness and harmony. Being an online learning facility, we allow our students to study at their own pace, on their own schedule, from wherever they are. Our school has been established for over 18 years and offers over 50 holistic therapy courses including Clinical Nutrition, Child & Adolescent Nutrition and Sports Nutrition. Enrol today and take advantage of our Special Offers!